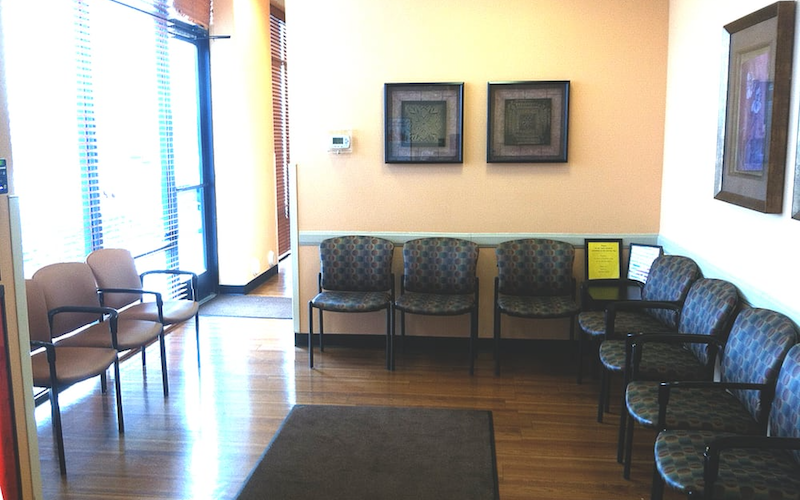 As part of the larger NextCare Urgent Care, this clinic has affiliates with the closest other clinic being in Chandler about 3.4 miles away and is open today from 8:00am to 11:59pm. Recognized favorably amongst their patients, NextCare Urgent Care, Ocotillo has an average rating of 4.7 stars out of 5 based on 599 total ratings. NextCare Urgent Care accepts many major insurance plans and multiple forms of payment, making it easier to get the affordable care you need. It is always a good idea to contact your insurance company before your visit to ensure the Clinic is in network for the service(s) you're seeking. Everyone was friendly and helpful. Brittany was great! Great job from entry to exit. Thanks again. It is so nice to be seen quickly when already everything is harder from not feeling great. Had a little longer wait today, but all went well. Fast...would recommend this facility to all my friends. Very good, I would use it again if in the area and needed. Excellent!!! Thanks So much for the fast and Excellent care!! Very Friendly WILL Recommend to anyone ! This is one of the best experiences I have ever had at a doctors office. I would recommend this to anybody and everybody. Wonderful people! Good appointment process, reasonable wait time, thorough screening, good exam and diagnosis, good communication, very time efficient. Was in and out quickly and the care provider did a wonderful job! Nicole was very professional and she makes you feel at ease. The receptionist and the girl taking my vitals were friendly. Great people to deal with. Got me in and out quickly. I felt that everyone was professional and I was served as fast as possible!